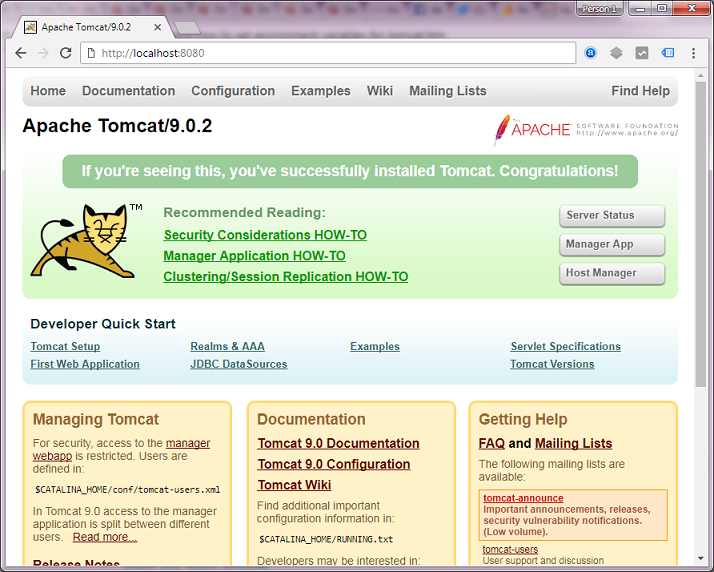 Tomcat web server is essential to execute Servlet code. Hence, before you run Tomcat server to execute your Servlet code, you need to set the environment variables of Tomcat to make sure it is able to find Java in order to execute the Servlet code. 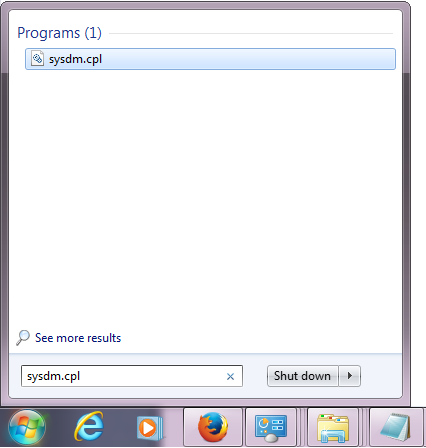 In order to set environment variables, we need to type in a windows command sysdm.cpl in the search box of the Windows Operating System(Windows 7 to Windows 10), and press Enter to open the a window of System Properties. 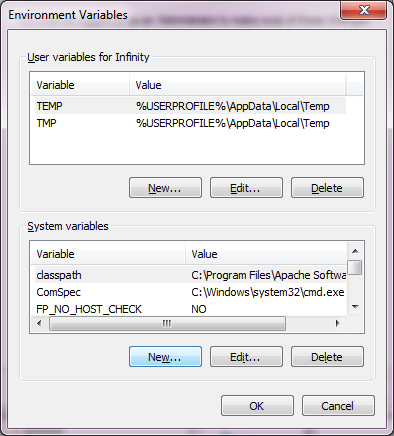 The next window of System properties open up, we need to click on its tab Advanced. In this tab Advanced, we need to click on the Environment Variables , in order to set the environment variables for Tomcat web server. Next, we will explain how to set Environment variables. The CATALINA_HOME environment variable should be set to the location of the root directory of the "binary" distribution of Tomcat. In our case, the "binary" distribution of Tomcat is located in the C: Drive. 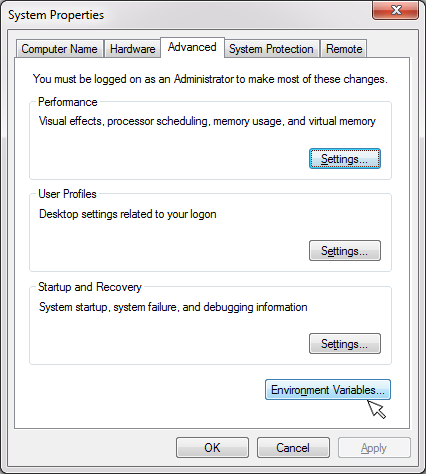 To do this, under the System Variables in in the Environment Variables Menu, click the New button(highlighted in the picture below). 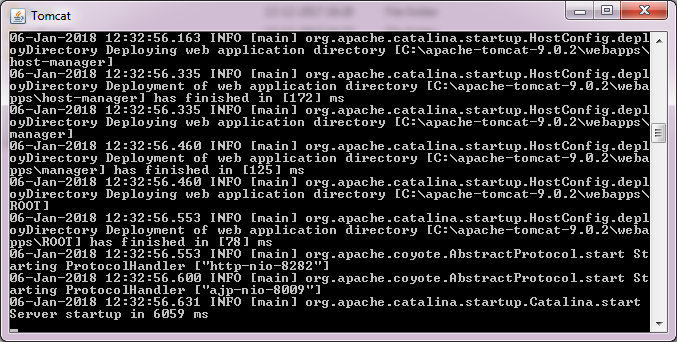 variable name to CATALINA_HOME and variable value to C:\apache-tomcat-9.0.2 (the location of Tomcat in your system) as shown in the figure below. This variable is used to specify the location of a Java Runtime Environment(JRE) or a Java Development Kit(JDK), which is required to start Tomcat web server. 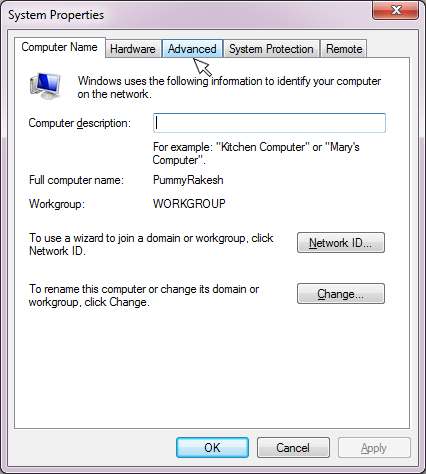 We have set JRE_HOME environment variable to the location of our Java Runtime Environment(JRE) in our system. variable name to JRE_HOME and variable value to C:\Program Files\Java\jre1.8.0_144 (the location of Java Runtime Environment(JRE) in your system) as shown in the figure below. After setting these environment variables, we are going to start Tomcat. 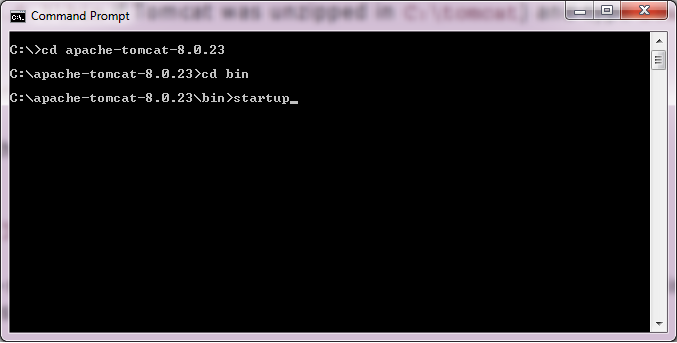 For this, you need to open the Command Prompt and go to the bin directory of the Tomcat folder present in the C: Drive, such as C:\apache-tomcat-9.0.2\bin and now you type startup(a command which starts the Tomcat Server) and press Enter. Just to make sure that Tomcat web server is running is to open your web browswer and enter the URL - http://localhost:8080/, which opens the window with a congratulatory message for successful installation and execution of Tomcat. 8080 is the port number on which Tomcat Server runs by default. You can change this port number anytime you wish by opening the server.xml file in "C:\apache-tomcat-9.0.2\conf" location and specifying a new port number for the variable Connector port. Additionally, you can also fine the directions of setting the environment variables for Tomcat in the file "running.txt" that comes included with Tomcat.